We loved our day in Keukenhof. The flowers were placed there by growers for wholesale flower buyers to assist them in making their orders for the year. 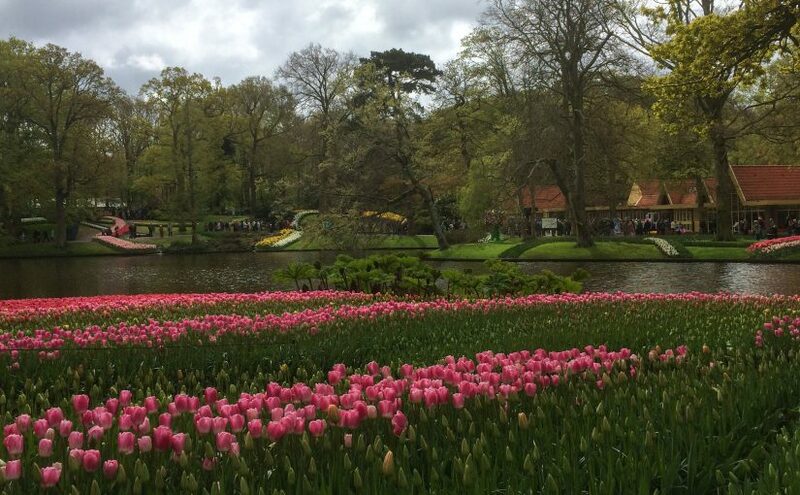 We, the thousands of tourists that come each day in the eight-week season when the park is open for visitors, Keukenhof started as a wholesale market and then, as an afterthought tourism quickly became the main focus of the park. The hundreds of thousands of tulips exist among many complementary flowers to create the experience. Entering the grounds gave a feeling much as my first trip to Disneyworld, except everything was real and alive.